Exide 12/15 chargers (12 V, 15 A) are suitable for all types of batteries, including those for cars, leisure vehicles, lorries and buses. It is the perfect choice if you need fast, powerful, cost-effective charging for any battery up to 300 Ah. You can even use it for constant power supply or maintenance charging. A spare cable is included. 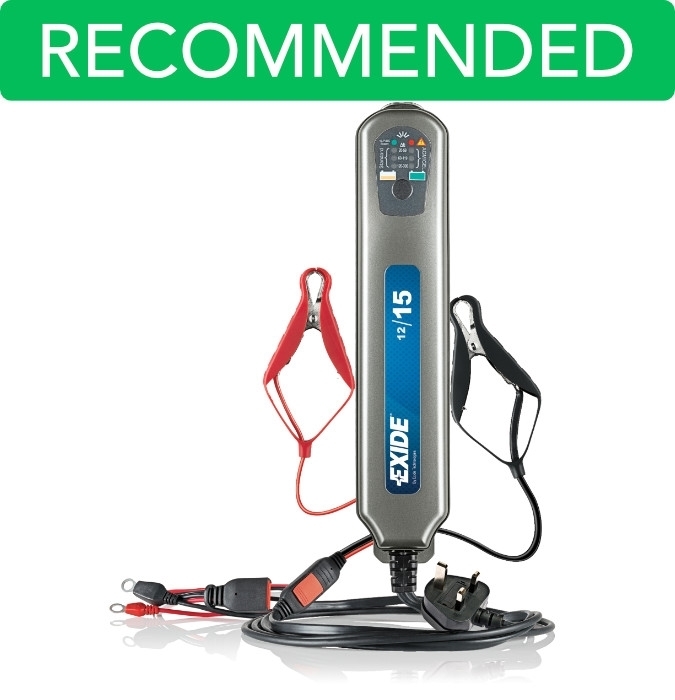 The Exide 12/15 provides optimum charging of standard batteries, as well as AGM and GEL. It is ideal for a broad range of applications, from car and motorcycle batteries to boat, caravan and tractor batteries. Exide battery chargers are fully automatic and have a built-in temperature compensator, which makes them great for all climates. The charger also has integrated safety functions, whereby they can sense if something is wrong with a battery. With an Exide charger, you need to never worry about a flat battery again. Exide has applied the latest technology to make a battery charger that lives up to the high standards you have come to expect from the Worlds No 1 battery manufacturer. Exide is a world leader in batteries, with next-generation manufacturing facilities and some of the most advanced technology in the industry. They are renowned for market-leading products, including their range of chargers for 12 V batteries. Exide chargers can be used for a wide range of vehicle and lead- acid battery types. They are fully automatic and have a built-in temperature compensator, which is especially useful in colder climates. The chargers ensure optimum charging, can be used for batteries from 1 Ah up to 300 Ah, and have integrated safety functions to identify if anything is wrong with the battery.